Paddling is about getting close to nature. The nature-inspired Duna 11.6 is a true tour lovers favourite. Live a travelers-life and cruise at fast pace through magnificent environments. 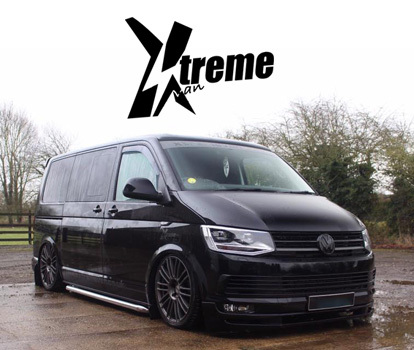 Its popular for its maneuverability, speed and sporty vibe. Duna is manufactured using industry leading techniques like our innovative drop stitch technology. Choose a paddleboard wisely and think long-term: we'd love to show you why a Jobe-board feels like pure freedom. Durable Duna comes with a bungee storage net to stow your luggage under and is equipped with a supreme luxurious neoprene-wrapped grab handle and paddle holders. 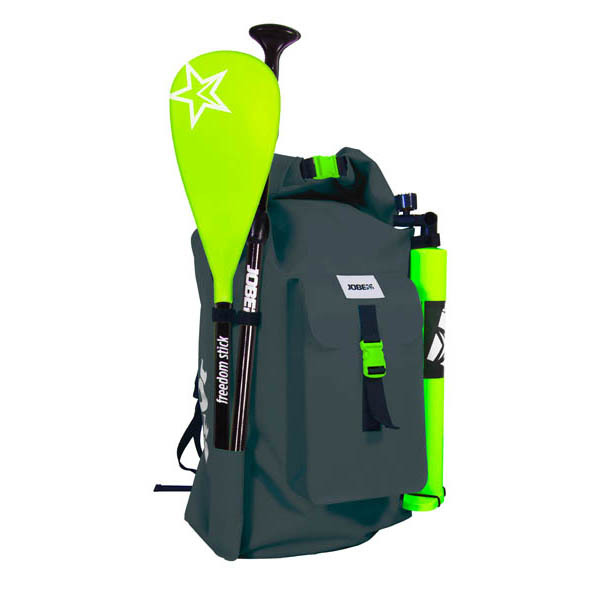 Ride a Jobe paddle board bare-feet or with water shoes, standing on the Duna's catchy green, super soft and luxurious EVA foam pad. 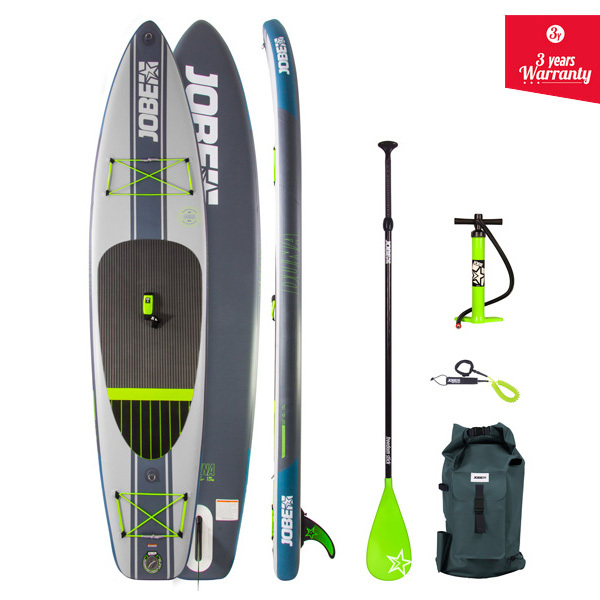 All Jobe's inflatable boards come in a full & favourable package, including a waterproof backpack with front pockets, an fiberglass paddle, a repair kit, a transparent leash and a shiny high-quality fin. 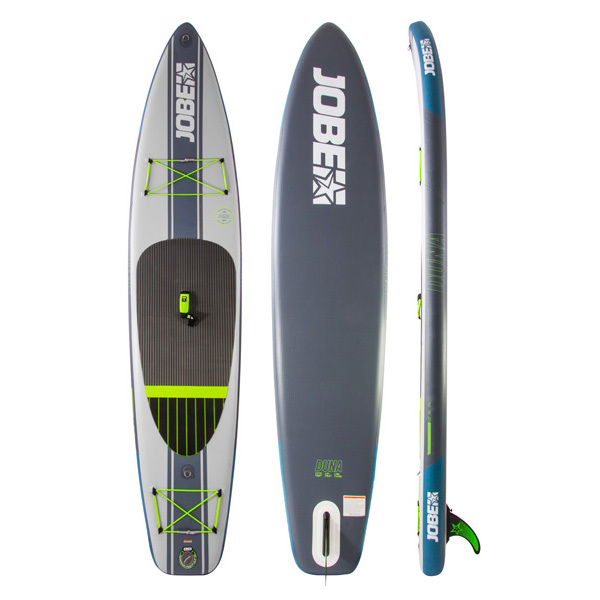 Easy to inflate & deflate, with a Jobe inflatable package you are on the water in no-time.